Abrasive blasting results in a large amount of dust and particles to be generated. This can result in a wide variety of contaminants to be released into the air which is not only toxic to the workers but can be highly flammable or combustible. 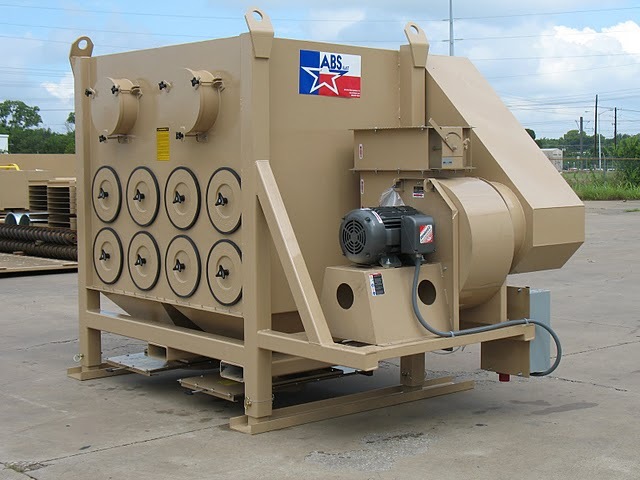 The Portable Dust Collectors by ABS Blast capture the air exhausted from the abrasive blast operation and cleans it, returning the cleaned air to the plant. Some of the benefits of effective abrasive blasting filtration include health protection and safety, extended machine life, reduced clean-up, energy savings and environmental protection. 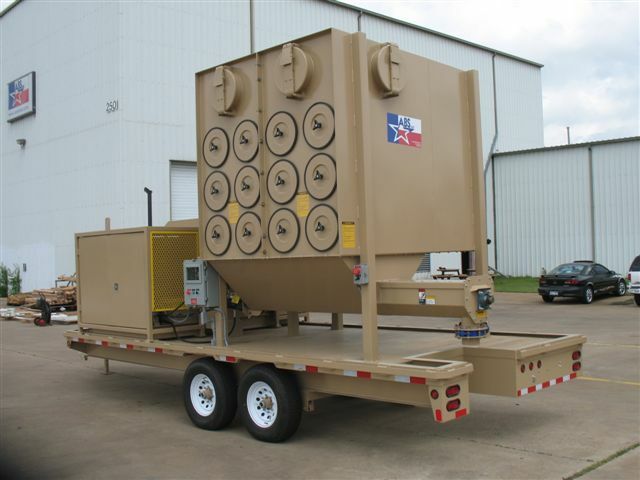 Just as Abrasive Blasting operations vary, so does the dust collection needs. ABS Blast offers a complete custom fit solution for your abrasive blast system. 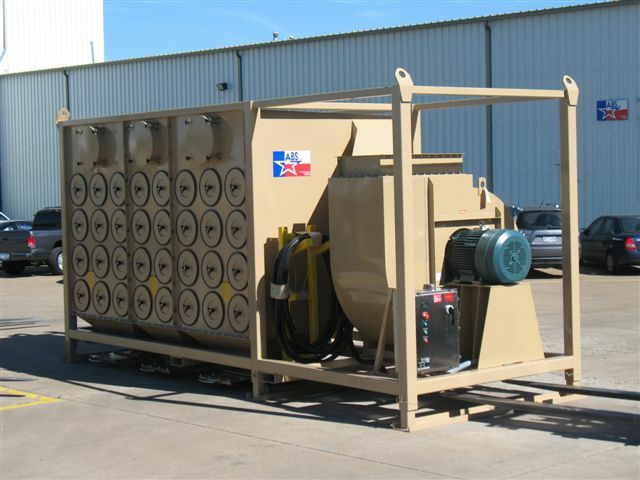 Whatever your needs, the portable dust collectors from ABS Blast offer optimal performance options. Abrasive Blast Portable Dust Collectors allow the user to locate the abrasive blast operation in a remote location, or in a temporary set-up. 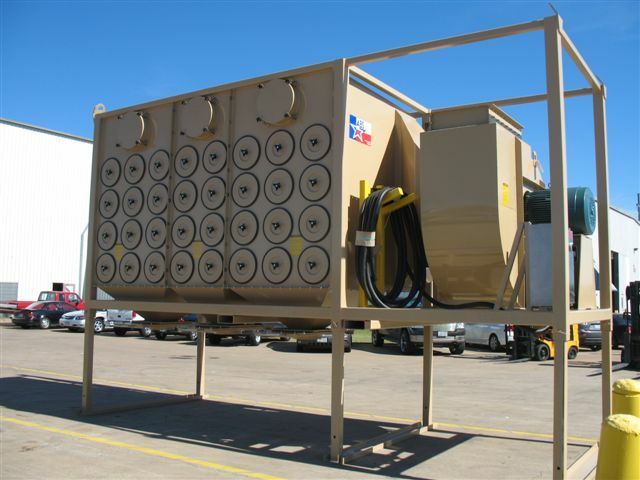 ABS Blast has specially designed these portable dust collectors for Abrasive Blast applications. 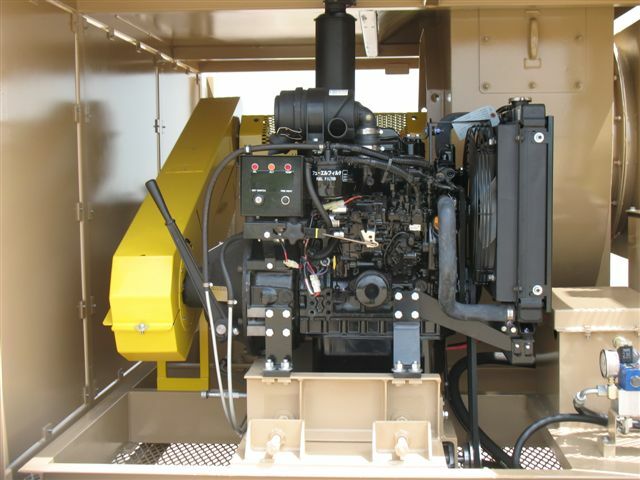 ABS Blast offers both electrical and diesel driven collectors, that can be sized to meet all of your blasting ventilation requirements. 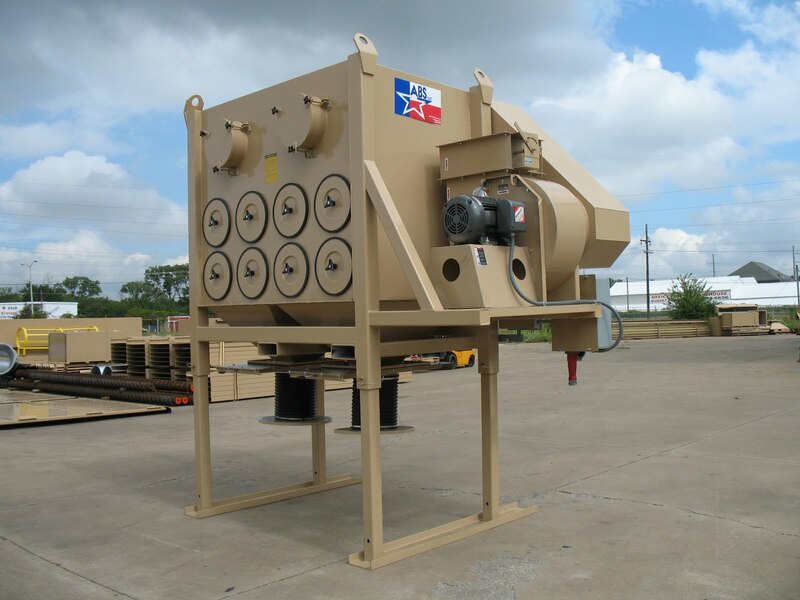 Each Abrasive Blast Portable Dust Collector has been engineered by ABS Blast for quality, efficiency and durability. 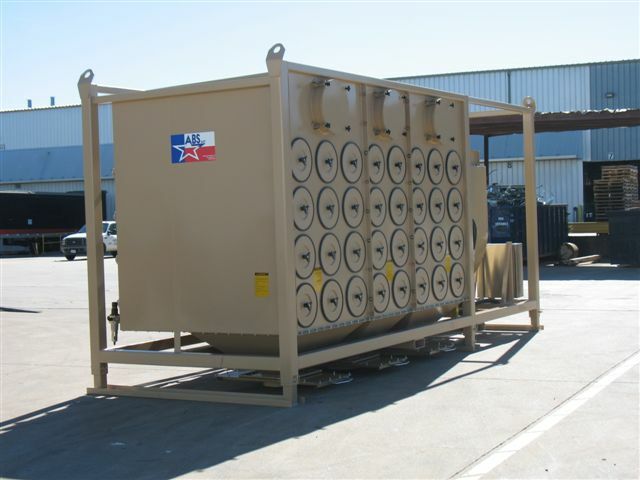 The units all utilize the proven Down Flow Design which allows for easy access to the filter elements. The collectors are all MERV-15 rated in efficiency of filtration. 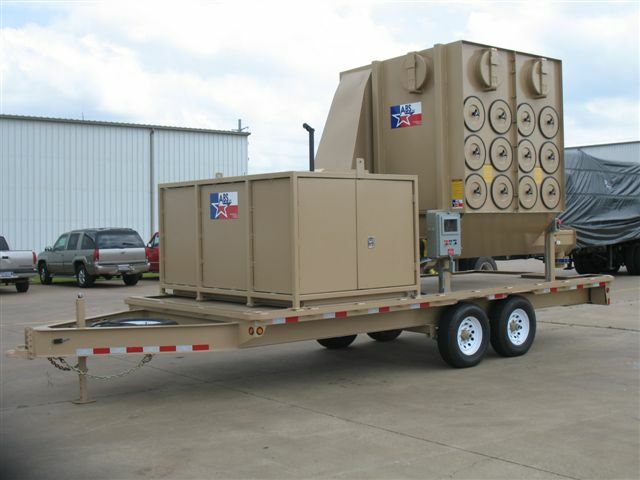 Our standard ranges are 10,000 CFM to 50,000 CFM Dust Collectors, and we offer to customize them if there are additional options you wish to add to best meet your requirements. 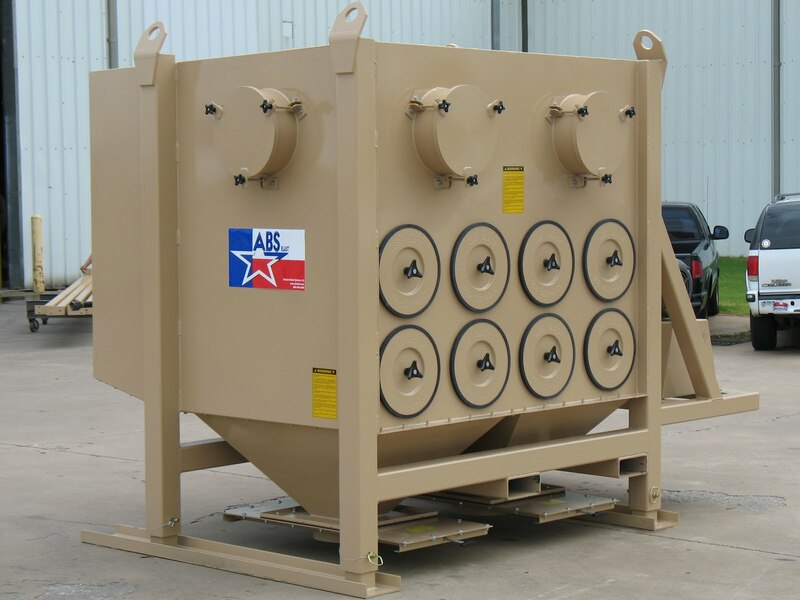 The knowledgeable and experienced staff at ABS Blast are available to assist you in finding the best dust collection needs to fit your abrasive blast operation’s needs. Contact ABS Blast for a Free, No obligation consultation.